Closing Ampthill Day Centre would add to “a steady erosion of community facilities” out of the town, it has been claimed. A consultation process has just finished over the future of the Houghton Close building, as Central Bedfordshire Council (CBC) considers modernising its services. The day centre has been used for more than 40 years, and provides a social meeting place for older people and adults with a physical disability. According to a report to CBC’s social care, health and housing overview and scrutiny committee the building is outdated, as well as oversized for the number of local people using it. The council’s preferred option is for centre users to benefit from various community venues. Conservative Ampthill councillor Michael Blair told the committee: “I think we need to look further ahead. There has been a steady erosion of community services from the town of Ampthill. “I suppose dating back to when Mid Beds District Council decided to move here to Chicksands,” he added. “We no longer have the magistrates court. We no longer have a viable police station. They’re camping out with the fire service. 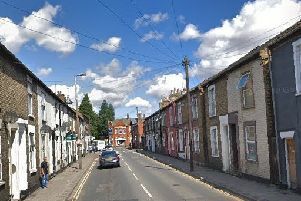 “We no longer have various community services which I think a growing market town like Ampthill should expect to retain. “I didn’t get a feeling there was overwhelming support for this. Conservative Dunstable Central councillor Carole Hegley added: “These are very old, tired buildings in some instances and probably not suitable for modern day use. “We are trying to move towards new generation day offers. “People want things which suit their lifestyles, rather than have traditional services offered to them.